It’s their day to shine – celebrate their achievement and offer congratulations with a cup of good cheer. 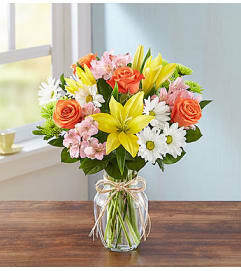 They can show off the gorgeous green and white arrangement of carnations and poms in a reusable mug. 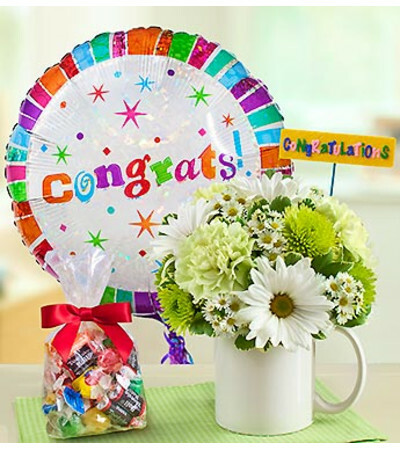 Or make their day even brighter with a trio of gifts: a foam "Congratulations" floral pick, festive balloon and sweet bag of candy. 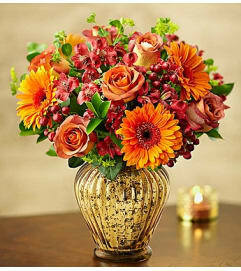 Truly original Mugable™ arrangement of green and white blooms such as carnations, poms, monte casino and variegated pittosporum. Comes with a mini "Congratulations" foam floral pick, a bright Mylar balloon, and a bag of assorted candy treats plus a 10"L plush brown bear; plush is safe for ages 3 and up.